Four personalities have been shortlisted for the 2017 F1Stockcars.com Stox Personality of the Year award. This time, the nominees were chosen by last year’s winner, Mick Sworder. One nominee will be announced each day – so make sure you keep checking the site! The first nomination was Stuart Smith Junior. Once all nominations have been announced, you will be able to vote for your favourite via the F1Stockcars.com website. Voting will open on Saturday 9 December and will close at midnight on Saturday 16 December. The winner will be announced on Sunday 17 December. 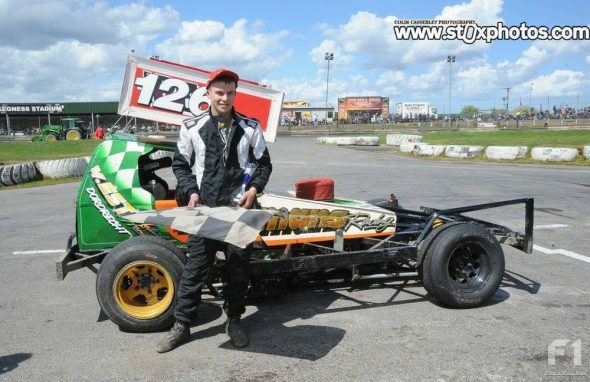 Harry Steward shot to prominence in May 2017 when, in his first F1 meeting proper he scooped the UK Open Championship at Skegness. A mechanic for Murray and Todd Jones, seventeen year old Harry gave a hint of what was to come when he took a heat win earlier in the afternoon at the wheel of Todd’s former Sjenge Smidt Junior machine. The car’s a good ‘un, no mistake, but Harry had not even sat in the car until that weekend which makes his victory all the more impressive, especially as he had to withstand two stoppages during the title race. The name Steward may not have been familiar to many F1 fans, but Harry has a bit of a racing pedigree to fall back on. 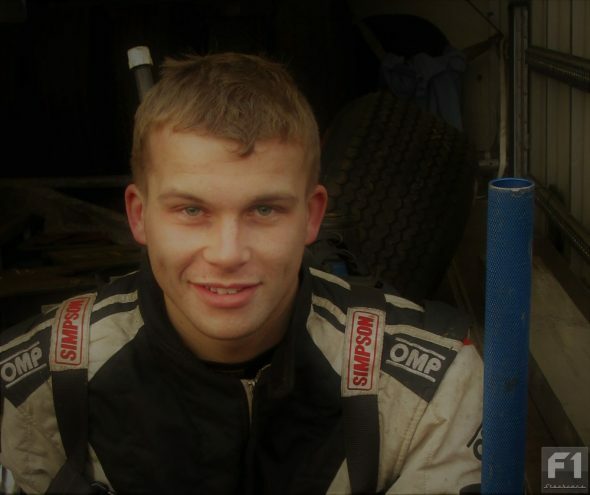 A kart racer from the tender age of five he moved into ORCi ministox when he hit 11 years old, winning his first ever race in the formula. Harry’s dad, Tick Steward, is a former hot rod champion and his uncle Andy also races in the non-contact formula on the Spedeworth circuits so oval racing for this Essex-based family is certainly in the blood. Indeed, if you believe all you read on the internet Harry’s birth was even timed to fit in with Tick’s racing schedule – now that is what I call family planning! After ministox, Harry became the youngest ever driver to race in Classic Hot Rods at the wheel of a Ford Anglia 105E (1966 vintage) prepared by the father and son team. I caught up with Harry at the Birmingham Gala night in November but he was not in the best of moods. The green machine had let him down, suffering engines problems pre-meeting so he had to use the 186/196 Harrison-built car in the Under 25 Championship. Harry said he had only raced about half a dozen times this year and after practice in the “reserve” car complained that it wouldn’t stop! He told me he would be starting from the front of the blue-tops in the U 25s race which didn’t seem to please him, but Todd lightened the mood, shouting “It’s all right, he is good at jumping the start!”, a reference to Harry’s Ipswich World Final night when he won the meeting final only to be docked by the steward for, let’s be kind, anticipating the re-start. Harry was presented with the 2017 Novice of the Year trophy at the BSCDA Awards ceremony in Nottingham last month, finishing just five points ahead of BTCC driver and occasional F1 pilot Ant Whorton-Eales.